Buy Industrial egg tray/paper tube/paper core dryer machine - Shandong Leader Machinery Co.,ltd. 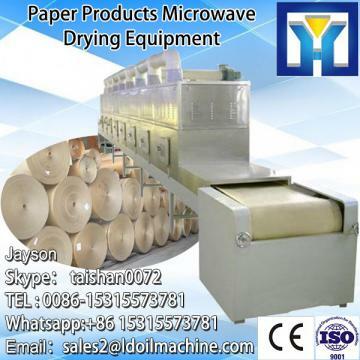 Because microwave has rapid heating,uniform heating,save energy/efficient,safety/harmless,work continuously,improve working conditions greatly etc features,it’s widely used in the paper products processing of drying stereotypes bend resin agglutination etc .Apply to paper,paper tube, honeycomb cardboard,environmental protection paper bowl,egg tray,cardboard box, Kraft bag,paper yarn compound bag etc fast drying.Another application in paper products and wood pulp processing is glue adhesion and curing.This not only can use cheap adhesives made into high quality carton box,but also can’t worry about rai and cloudy trouble,and make high quality resin compound board. For the whole Industrial egg tray/paper tube/paper core dryer machine,warranty is 12 months,within 12 months,if have equipment quality problems,we will provide accessories freely. After the expiration of the warranty period,if have spare parts problem,we only receive the cost of required replacement parts.We commit we will provide free technical support of equipment all whole life. Our company has engaged in producing and exporting Industrial egg tray/paper tube/paper core dryer machine for many years, and until now, our machine has exported to overseas market, such as Brazil, India, Indonesia, Russia, Thailand and so on, and get the foreign customers' unanimous praise. We believe that you purchase shandong leader machinery co.,ltd. Industrial egg tray/paper tube/paper core dryer machine is your best and sensible choice.